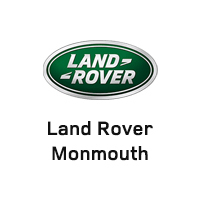 Drivers in Asbury Park searching for the versatility and interior style of a luxury SUV can trust the new Range Rover Evoque to deliver exceptional engine performance, the latest tech features, as well as advanced off-roading and safety capabilities. To experience a new Range Rover Evoque, contact our dealership to schedule a test drive and to learn more about our financing options. When you’re ready to experience the new Evoque for yourself, be sure to contact our dealership team to schedule a test drive near Colts Neck and learn about all offers on Land Rover models.